Tom Crean was no ordinary guy. 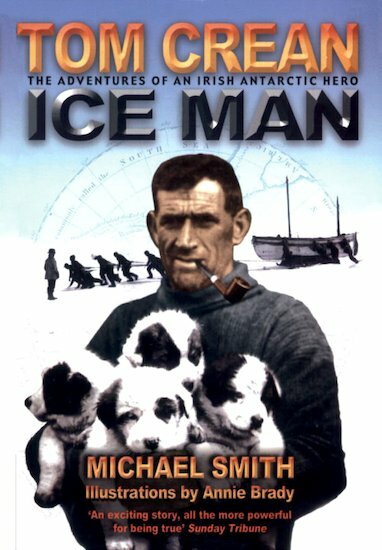 He was an Ice Man: an Antarctic hero who stayed cool as a popsicle however tough things got. When Tom followed Captain Scott into the frozen wastes on his mission to reach the South Pole, he walked 56km solo across a treacherous ice shelf to save a dying comrade. Does that sound ordinary? No! Later, he survived the sinking of Ernest Shackleton’s polar exploration ship Endurance, helping to save his friends from certain death in the freezing waters. As if all that wasn’t heroic enough, he then set off on an 800 mile open-boat journey through treacherous pack ice. Read the Ice Man’s true story, and shiver with excitement! My bff did her project on tom . i don’t like history! It is terribly boring !! !